The Salt Lake Christian Church is a diverse non-denominational church filled with members who are committed to a close relationship with God based firmly on the Bible. This simple vision has brought about a simple dream: 2x2020. Our dream is to plant a second church in the state of Utah by the end of the year 2020. We are currently praying to see whether God wants us to plant a church in Ogden or Park City. We would love for you to come and visit our family and be a part of God's plan for Utah. Mike (@mikepblock) grew up in New Jersey and attended West Point in NY to become an Army Officer. Melissa (@melissablock) grew up in Pennsylvania and attended SUNY Purchase for dance. They met during their college years through the NYC Church of Christ. After Mike graduated from West Point, they got married in 2002 and stationed in Colorado Springs by the Army. Mike served in the Army for 8 years in Colorado, Iraq, & South Carolina. In 2011, Mike & Melissa started to work full time for the Columbia Church of Christ in SC leading the Youth & Family ministry. In 2013, they moved to Orlando to lead one of the regions of the Orlando Church of Christ. Lastly, in October of 2016, Mike & Melissa moved to Salt Lake City to lead the church here. 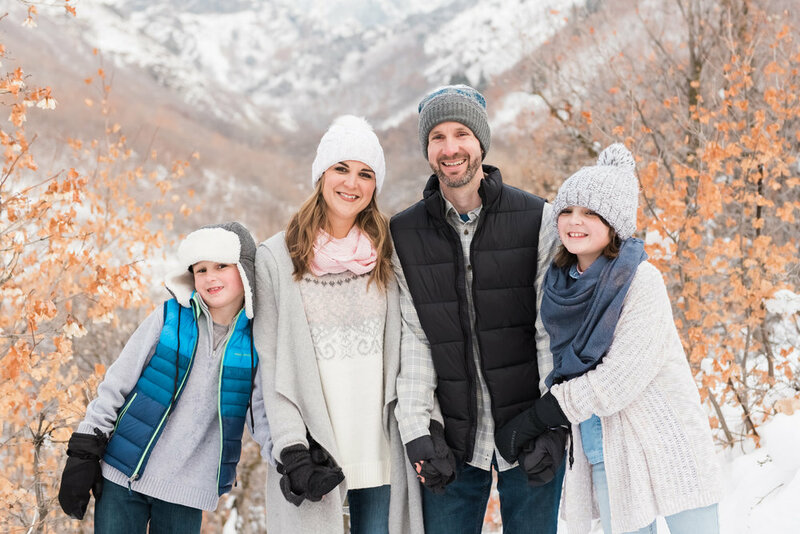 They love hiking the canyons, skiing the mountains, exploring SLC, reading Harry Potter, and watching Star Wars with their two kids: Bella (11) and Caleb (9). The Salt Lake Christian Church is part of a worldwide fellowship known as the International Churches of Christ. This fellowship consists of over 600 churches in 150 different countries around the world and is made up of various races, tribes, and ethnic groups. To learn more about the International Churches of Christ check out their website: Disciples Today. We in Salt Lake participate in this fellowship in many ways: conferences, service projects, joint events, and missions. We have a very close connection with the Middle East and Honduras. Every year we take up a missions offering that directly goes to help our sister churches spread the gospel in these parts of the world.